Ding CEO Mark Roden said: ‘We are deciding where we are going to be really significant’. Picture by David Conachy. Phone credit company Ding has gone back to the future to find a new chief executive, with founder Mark Roden deciding to abandon a global executive search process and step back into the role on a permanent basis himself. 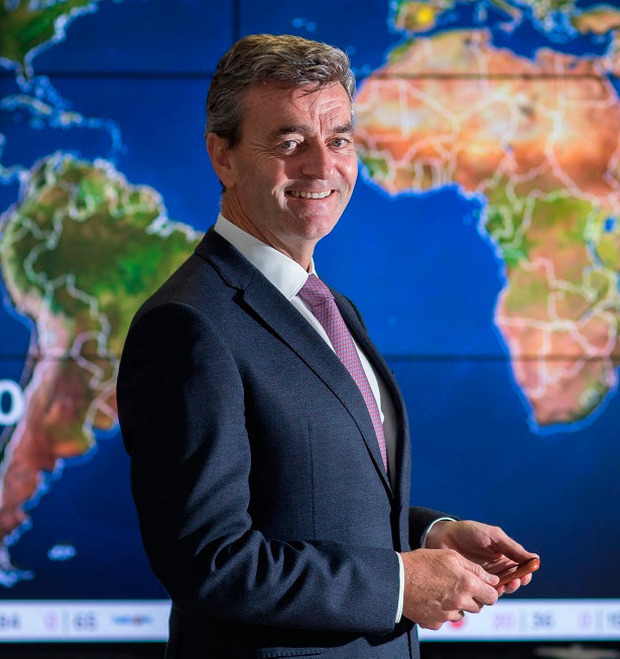 Roden has launched a strategic examination of the business, bringing in a number of international management consultants to bolster his top team at the Ballsbridge-headquartered company, he said in an interview with the Sunday Independent. The new strategic direction for the firm, which sells €500m worth of phone credit globally, will see it potentially add new payment and data analytics products, said Roden who previously co-founded Esat and Easycash. It is likely to also see it raise even more funding in the coming months than it previously indicated – possibly more than €50m, he said. Customers in 140 countries use Ding to buy credit for friends or family on average every three seconds. Its two biggest markets are the US to Central America and the Arabian Gulf countries to Asia. Roden, Ding’s majority shareholder, stepped away from the CEO role in 2017. “Over the last two months I realised I really enjoy this – so why would I bring in someone else who needs to get up to speed on the business? “Working with the senior team here today I know now what we need to do, so let’s just pull the trigger on that.